Nancy Blakes is located in Limerick city centre, just a 15 – 20 minute stroll from Clayton Hotel Limerick, just around the corner from the Milk Market. It’s a fun, traditional Irish pub with oodles of character and a lovely, welcoming ambience. 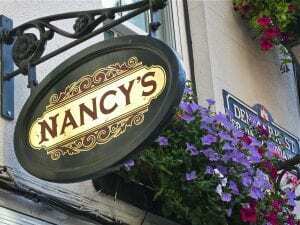 There is traditional Irish music on Sundays and Nancy’s boasts a large beer garden with a canopy making it a perfect spot to enjoy a drink.